I am always on the lookout for ways to reuse glass bottles. 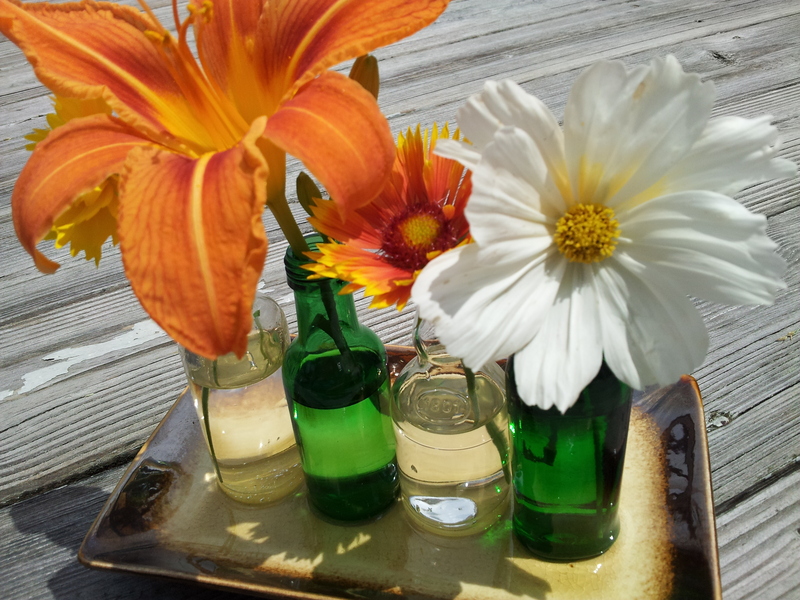 After standing at my kitchen sink and looking at two small nip bottles sitting on the windowsill, I came up with a plan to make this recycled bud vase centerpiece. Of course my husband was happy to help, which required him to sample enough bourbon to give me 4-5 bottles. Through the power of creativity and epoxy, I created this stylish centerpiece for my porch table. So, think twice before throwing your empty bottles in the recycling bin and follow my quick and easy steps to make your own bud vase.